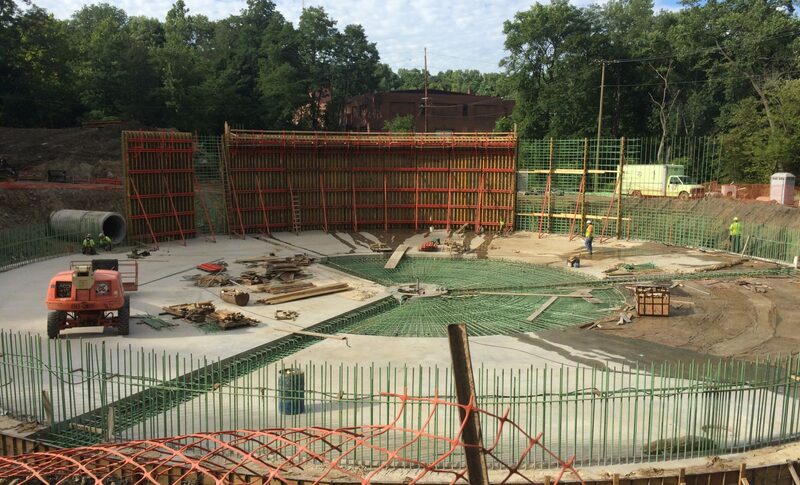 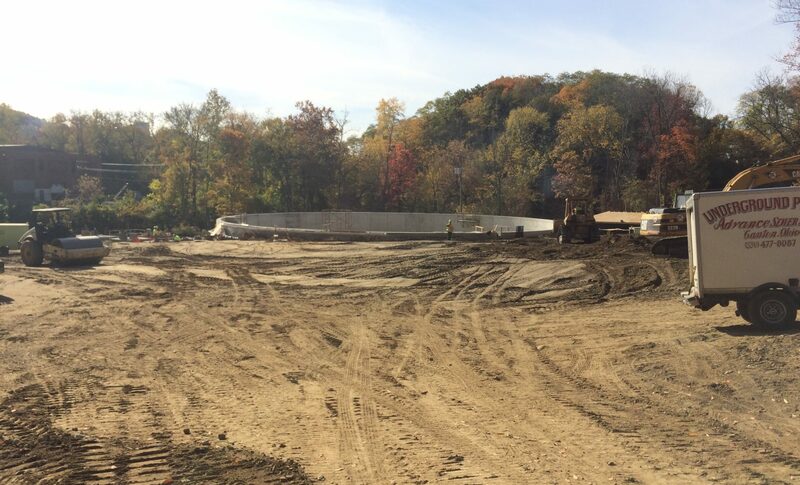 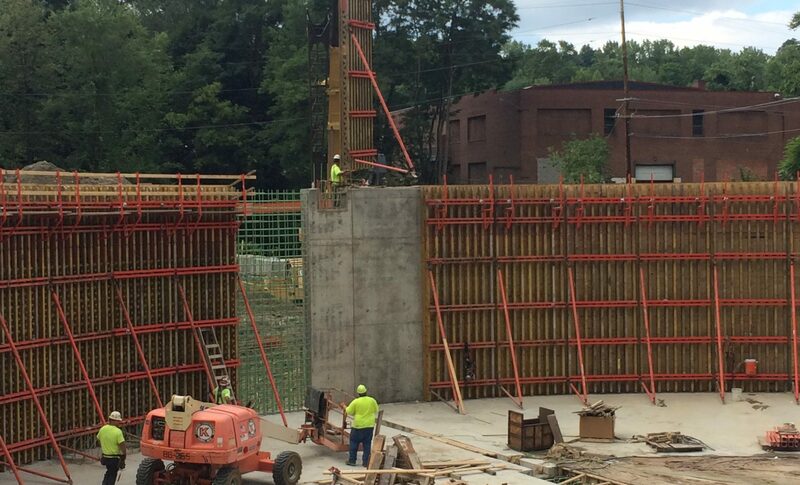 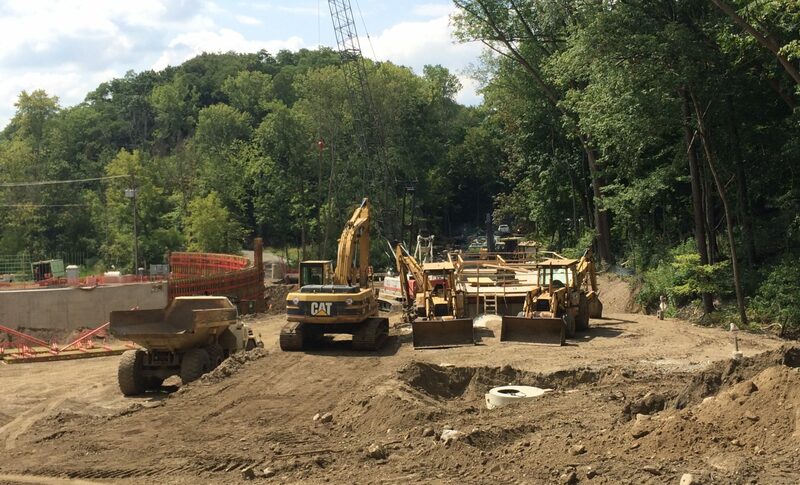 As part of the City of Akron CSO Program, the construction of the CSO Rack 15 Storage Basin Project will provide combined sewage overflow control by constructing a storage basin between Rack 15 and the Little Cuyahoga River. 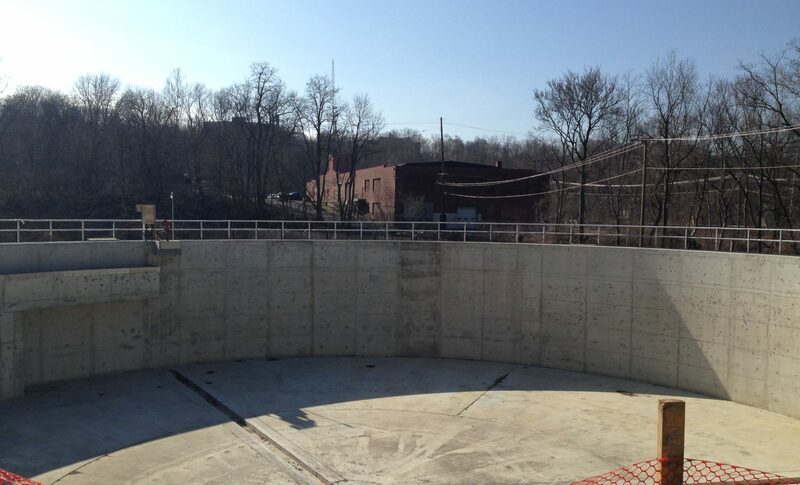 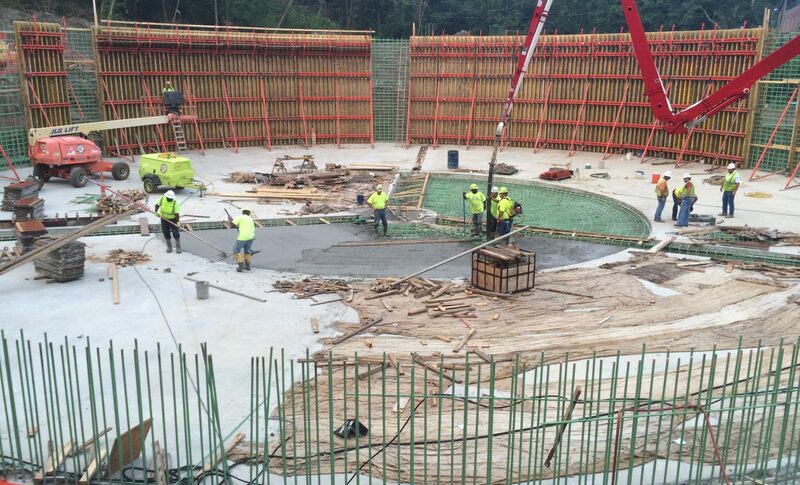 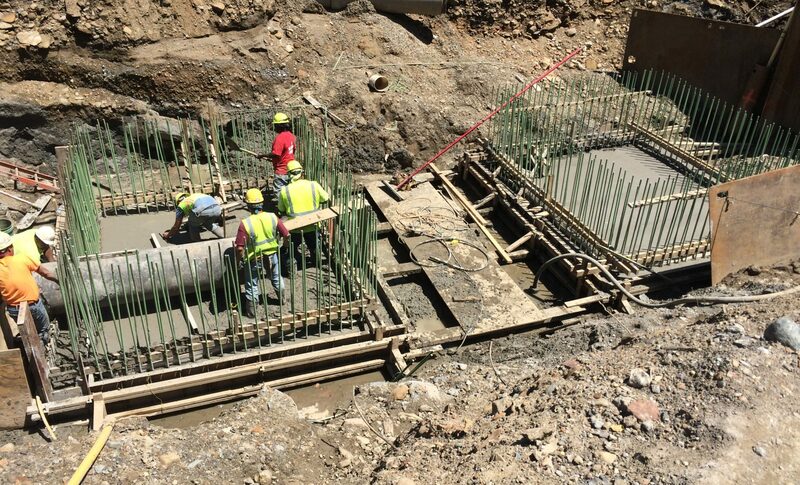 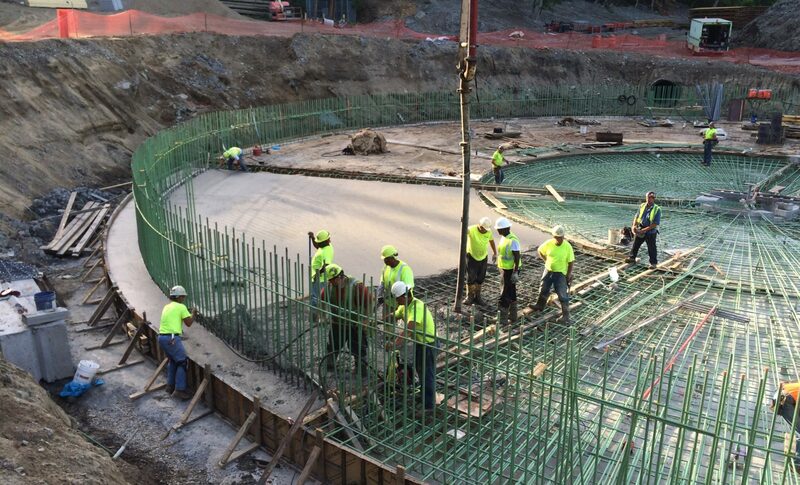 The focus of this project is to construct a 124 foot diameter, 2,200 CY cast-in-place reinforced concrete Storage Basin along with a junction chamber, screening structure, meter and valve vaults and an operations building. 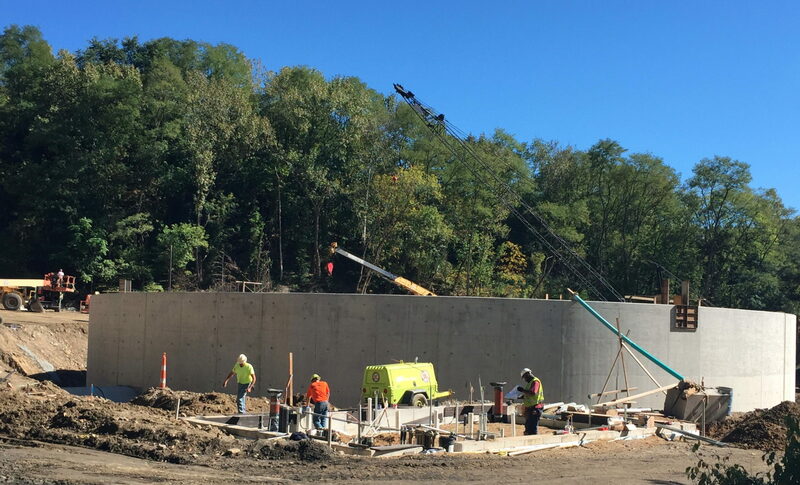 In addition to the storage basin, work was also done to construct a 42 inch combined influent sewer, a 72 inch combined influent sewer, manholes and by-pass pumping of the existing combined sewer for flow control. 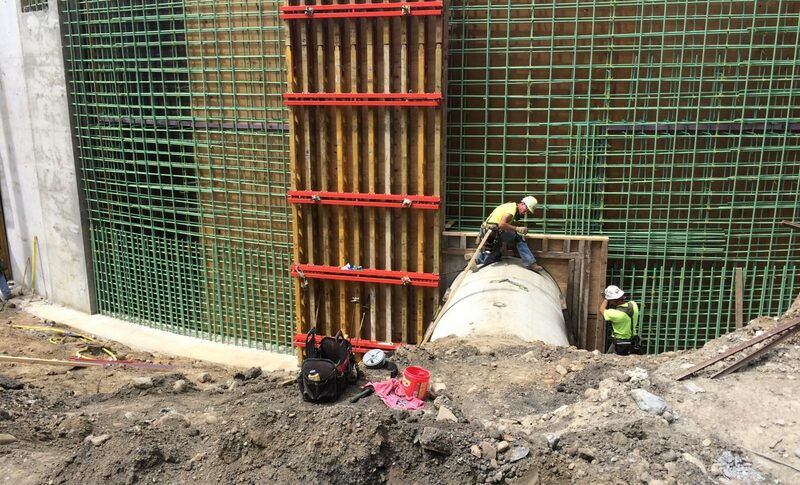 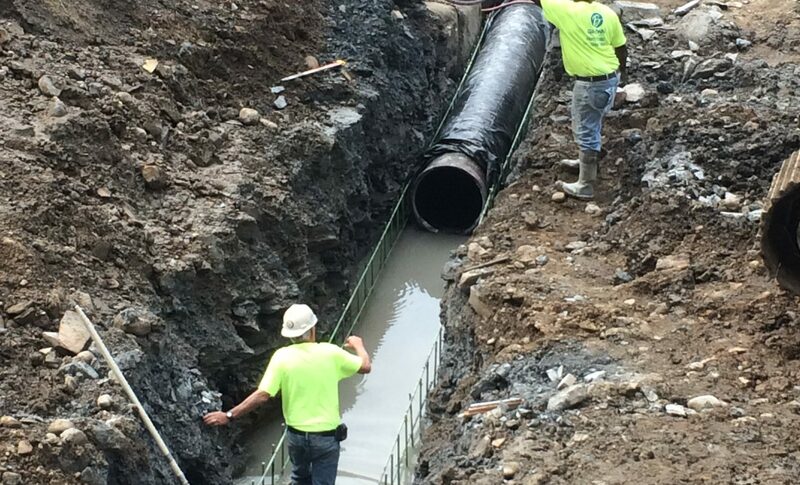 There were several challenges to this project including limited site access, maintaining the existing flow of the 78″ interceptor sewer with by-pass pumping, and installing over 100 rock anchors.